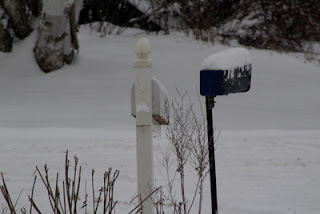 Little House Home Arts: New Years--How Cold It Is, but Warm Inside! I have been joking about moving to Florida, and no more. They are getting snow too? California looks better as the fires get more contained, though now they are experiencing flooding and mudslides! I may complain of being cold, but I will take our weather in Vermont over that in our favorite vacation spots on the New Hampshire coast! We are only cold and not flooded with the icy sea water!! My sympathy to all of you experiencing extreme weather, for as my husband says, we are simply having winter here! I made New Year's resolutions and they sound easy enough and perhaps even realistic until I face them in the middle of a cold spell with snow on the roads and no chance for getting out without looking like I just gained a hundred pounds with all the layers I have to wear to stay warm! I am worse than Ralphie's brother in his snow suit in A Christmas Story! 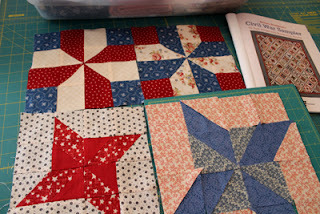 But on the positive side, this weather is conducive to sewing quilts, and have I ever bit off a lot for this next year!! 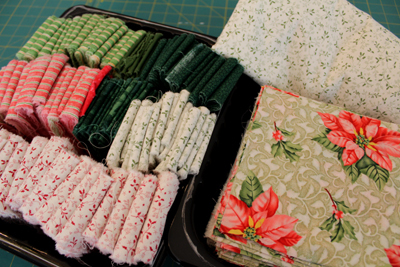 They can't get done fast enough, as I dream of them stacked up on our bed to ward off such winter chills!! Come take a peak at what I have in store for 2018! 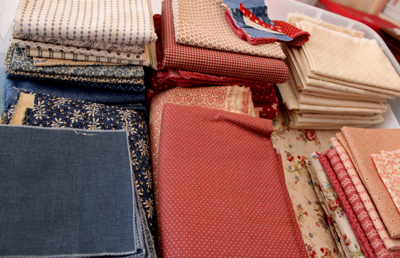 Great fabric selections for a Civil War Quilt or what?! muslin blocks and 9 patch blocks using these prints. 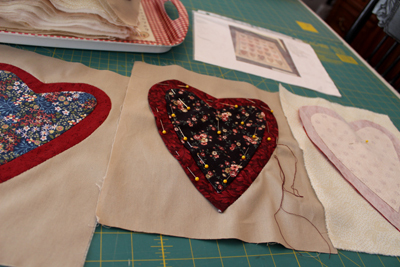 or two double appliqued heart quilt tops. 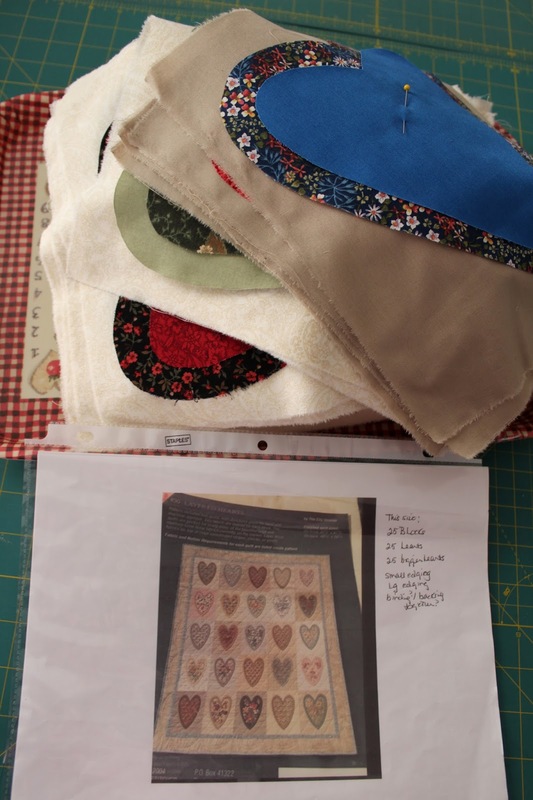 hand-stitch to different neutral colored blocks. 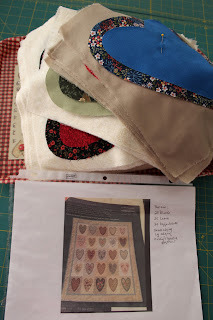 All my projects are designed to practice skills of different sorts of piecing as well as other stages of quilt making that will be pictured in my following blogs! 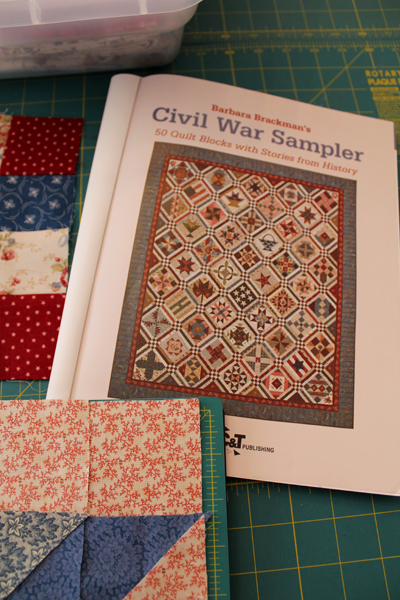 2018 will be an intense year of quilt making! Fun, or what?Perhaps some of you might consider joining me in creating one of these quilt tops yourself? Stay tuned! I am back to blogging and sharing my new ventures! Also check out my craft work in my Etsy shop. I have recently listed many of this year's items and reduced many of my prices. You might find the deals you have been waiting for?! Happy-Happy New Year! May you all be blessed with a good and healthy 2018! Labels: Quilt-making! New techniques and skill practice ahead!